On Wednesday September 13, 2017, Tears McFarlane House & Garden welcomed the community to enjoy wine tasting and hors d’oeuvres for the 10th annual Capitol Hill United Neighborhoods (CHUN) Wine Tasting. 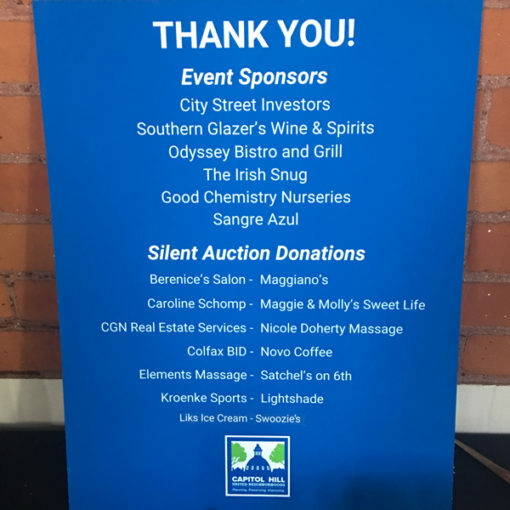 Good Chemistry is a proud business member of CHUN and representatives from our team enjoyed meeting with neighbors of the Capitol Hill community. Proceeds from the event directly benefited Capitol Hill United Neighbors (CHUN) in their mission of “Preserving the Past; Improving the Present; and Planning for the Future”– making it possible for them to continue advocacy for smart zoning and land use, the protection of historic landmarks, community safety and neighborhood beautification. CHUN is just one of the organization’s Good Chemistry is proud to support. Learn more about those organizations and how to support them here.